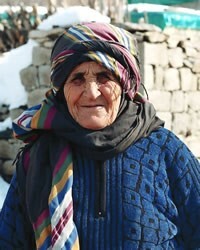 Overview: The Northern Zaza of Turkey, numbering 1,495,000, are Engaged yet Unreached. They are part of the Kurd people cluster within the Persian-Median affinity bloc. This people group is only found in Turkey. Their primary language is Kirmanjki (individual language). The primary religion practiced by the Northern Zaza is Shia Islam, one of two major denominations of Islam. The followers of Shia Islam are called 'Shi'as' or 'Shiites'.